MANILA – The House of Representatives is at it again. ACT Teachers party-list Representative Antonio Tinio denounced the House of Representatives for approving House Bill 6643 or the Revised Basic Education Reform Act of 2012 on second reading and without amendments even as several lawmakers were protesting against what they said as the Aquino government’s lack of preparation and commitment to fully fund the kindergarten to grade 12 (K+12) program. Tinio revealed that during committee and plenary deliberations, the bill’s proponents failed to prove that the Department of Education (DepEd) is ready to effectively implement the entire program. The lawmaker pointed out that the DepEd failed to give acceptable or convincing answers to concerns raised, particularly those involving the perennial problems of teacher/ classroom/ textbook, and other resource shortages. Tinio argued that the DepEd has not yet fully developed and tested the new curriculum for all the grade levels, including kinder and the additional two years of high school. During plenary debates on Tuesday, October 16, Tinio argued that the bill’s appropriations clause, a standard provision usually cut-copy-pasted by lawmakers in drafting bills, is insufficient to bind the Aquino and succeeding administrations into fully funding the program. Tinio said the opposite was the case: the bill’s provisions reveal the intention to let the private sector fill up the gaps in the public education system. He said that more students would be forced to enrol in private schools because public schools would continue to have bloated class sizes, and suffer from a lack of teachers. The government-run schools will also “incentivize” their admission through subsidies such as the Government Assistance to Students and Teachers in Private Education (GASTPE) program and the voucher system. Classrooms, on the other hand, will be built through private-public partnership schemes, which have been proven in other countries to be more expensive than public funding in the long run. “Reliance on these forms of privatization reveals Aquino’s plan to use the K to 12 program to privatize education, make it more prohibitive for majority of Filipino children, and deprive them of their right to accessible education,” Tinio warned. Tinio feared the K to 12 bill’s hasty approval on final reading once session resumes in two weeks, as its proponents did not consider the valid points he and other lawmakers raised during committee and plenary debates. During Palatino’s interpellation in the plenary in October 17, he was able to secure responses from the main proponents of the K+12 bill wherein they admitted that the DepEd is still pilot-testing the curricular reforms for the program. “My point is this: Why is Congress rushing to pass this bill instead of waiting for the assessment of the pilot-testing?” Palatino said. Several LFS members protested inside the plenary yesterday as Congress was passing the bill via viva voce voting. For her part, National Union of Students of the Philippines secretary general Issa Baguisi charged that the underlying motive of K+12 was to feed the global need for cheap labor. 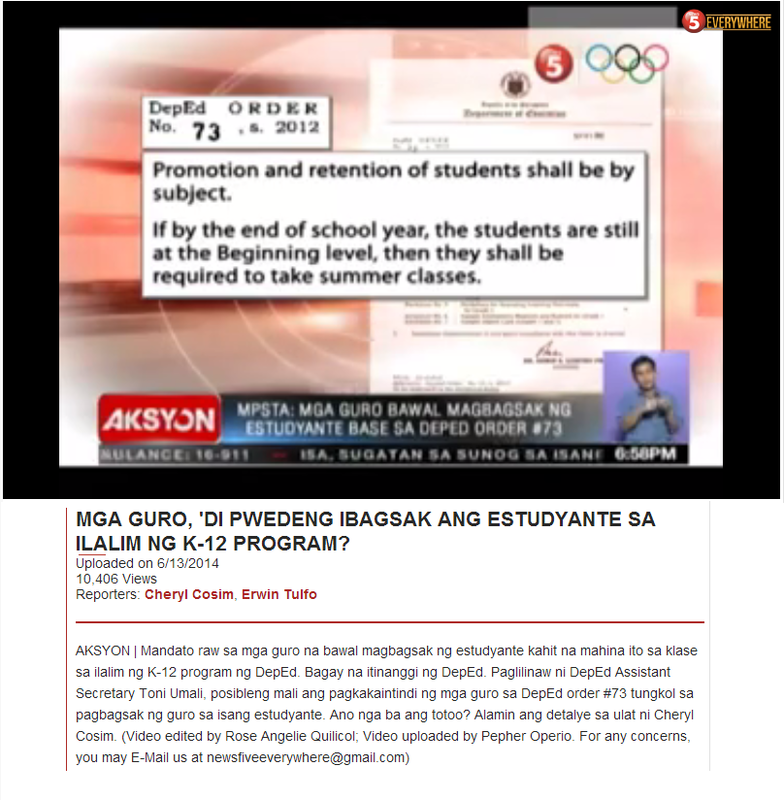 “DepEd needs to review the K-12 curriculum. It’s quite possible that the integration of technical vocational courses in high school – instead of teaching students basic subjects they need to contribute to national development – is a move of the government to push more Filipinos to work outside the country as cheap migrant labor,” she said. Under the K-12 curriculum, students will be taught four preparatory technical vocational courses in Grades 7 and 8. In Grades 9-12, students can choose their specialization, similar to courses offered by the Technical Education and Skills Development Authority (TESDA), which includes aquaculture, tailoring, carpentry, caregiving, and household services, among others. 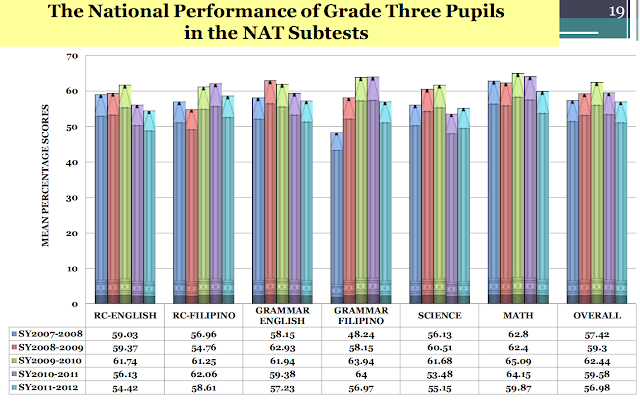 Palatino argued that curricular reforms are not enough to resolve the high drop-out rates in the high school level. “The DepEd already decongested the basic education curriculum under the Revised Basic Education Curriculum (RBEC) over a decade ago. Yet, we still have high drop-out rates,” Palatino explained. “If we implement the K+12 program, can we promise those who will graduate under it that they will have jobs immediately after? No, the government cannot promise that. Even college graduates now find it hard to find suitable and good-paying jobs,” he said. The youth solon said legislators should reconsider their position on the K+12 bill during the third reading, which is expected to take place in November when Congress resumes. “Adding two more years to basic education translates to added burdens, both on part of the government and the families of students. Two more years of education is tantamount to two more years of torture,” Palatino said.